Hello community. 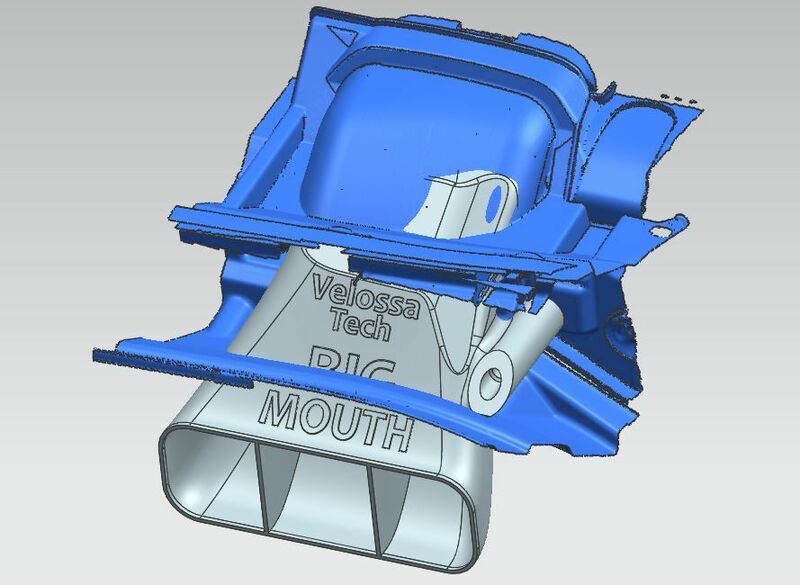 After doing an extensive analysis of the current design, and using 3D scan data we acquired of the fiesta cowl and cowl inlet area, I decided a soft redesign was necessary. 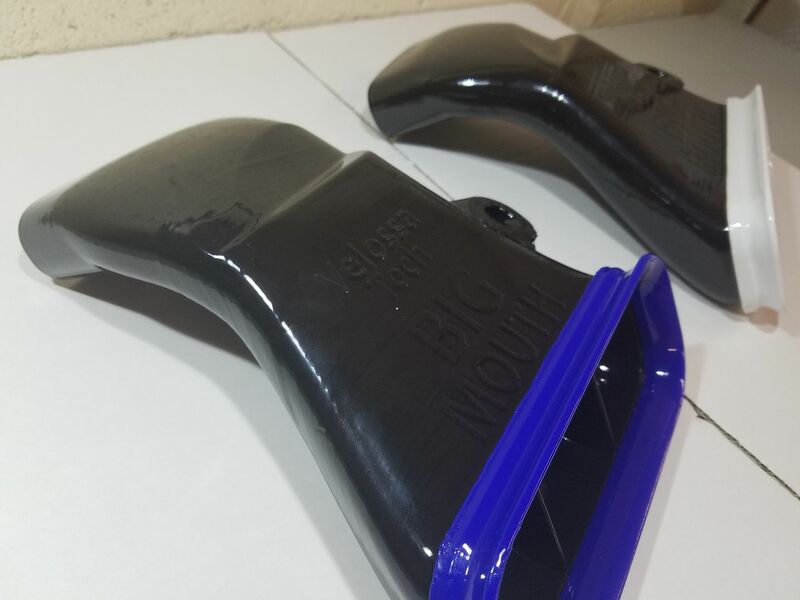 What this means is, I did not change the overall shape and effective airflow performance of the intake, I just made changes to the outer shape such that there will be minimal contact between the BIG MOUTH and the stock cowl. There seems to be enough variation from car to car to cause an issue for a few of you. I heard your cries and made this change a permanent fix. First we brought in Gregs 2016 Fiesta and installed the old design BIG MOUTH on his car. We didnt notice the issue that some people were encountering, on this particular car. So, I needed to bust out the structured light 3D Scanner. I got the ACTUAL physical geometry of the cowl and inlet area in our CAD program. This way I could do an in depth analysis of the geometry interference. Below is the scan data. I then spent quite a bit of time 'Installing' a BIG MOUTH in virtual reality. As you can see there is some overlap at the bottom of the cowl area, this interfering portion of the BIG MOUTH was effectively removed and contoured to the exact shape of the inside of the cowl. The resulting redesign is essentially the BIG MOUTH minus the 3D geometry under the cowl. I also ensured this would not add any extra pressure drop to the system by running some preliminary CFD simulations. In fact I opened up the downstream side of the BIG MOUTH a little bit by removing the ribs from that area. I hope you guys appreciate the time and effort that went into this redesign. As the manufacturer, it is my duty to do something about customer product improvement suggestions. I hope everyone knows that we are all on the same team. If you were planning on ordering a BIG MOUTH in the near future, you will get the Gen 3 design. Thanks for listening! I'm in on this one! Very nice!! Can't wait for my new one! Makes since. The one I installed recently makes contact in that exact spot. The area in your image is discolored on my cowl from applying heat with my heatgun. It still doesn't fit to my satisfaction after heating it. I plan to hack the cowl like [MENTION=929]antarctica24[/MENTION] did so the body lines are correct again. any fitment issues when using with the mishimoto oil cooler? I am very happy to see how far this has come along since the gen 1 version! I just took a heatgun to the cowl on my '16. It worked fine after that. 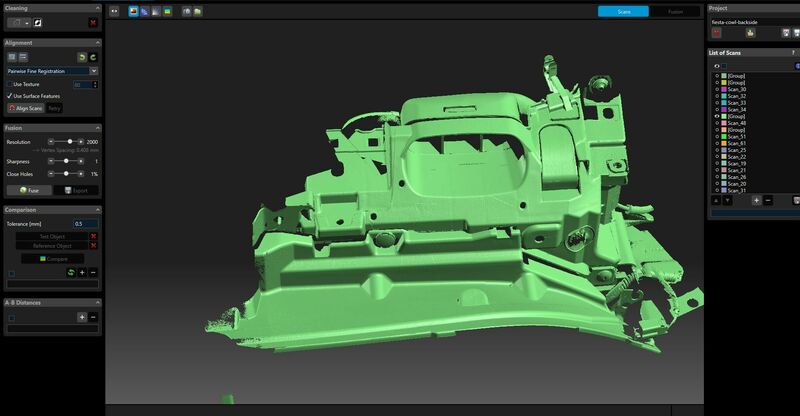 Thanks for the tremendous amount of technical work that has gone into making parts for our car! 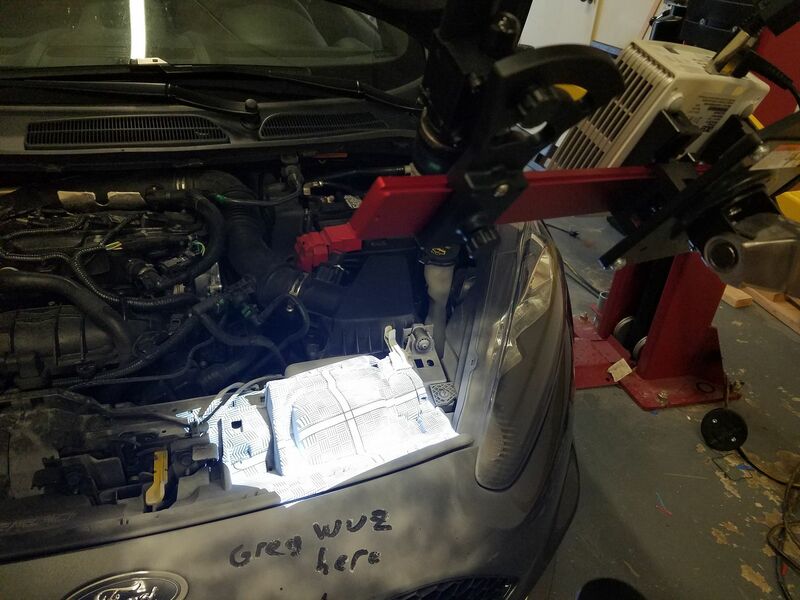 Has any physical testing been done on a st with gen 3? Fitment and performance? Glad to see that rev have been made with the customers in mind. Yep we fit the new design to a car and it fits great. The CFD analyses showed little difference in pressure drop, performance should not be affected. Thank you! Have been interested in a Big Mouth for quite a while now but was unsure about purchasing for the fitment issues. I honestly would have ended up buying one anyway but now I have no doubts in mind. Thanks for your hard work Dan! Speaking of performance, I may have missed it somewhere else, but do you have a link to some performance stats? I'm curious as to how much the big mouth actually helps. Speaking of performance stats, has anyone ever done any testing on the big mouth combined with the mountune airbox? Yep, we did highway logs at full throttle. Target parameter was massflow in lbm/min and it picked up airflow across the board. Since you've now done this virtual reality work are you able to provide a more accurate template for the hole that needs to be cut in the cowl? I probably could do that, won't happen anytime soon as we are still catching up on production after the hurricane. Check back in a few weeks.